Are you on the lookout for the best pressure canner? Look no further because here is your last stop. Investing in a pressure canner is an excellent way to preserve your food. That way, you will be able to eat your fruits and vegetables anytime you like. The great thing about using pressure canner is that you will be able to preserve virtually any sort of food in jars, to enjoy whenever you fancy. The flexibility and versatility are the main reason why a pressure canner would be an ideal addition to your house. As you know, pressure canners come in all shapes and sizes, with different features and different price tags. 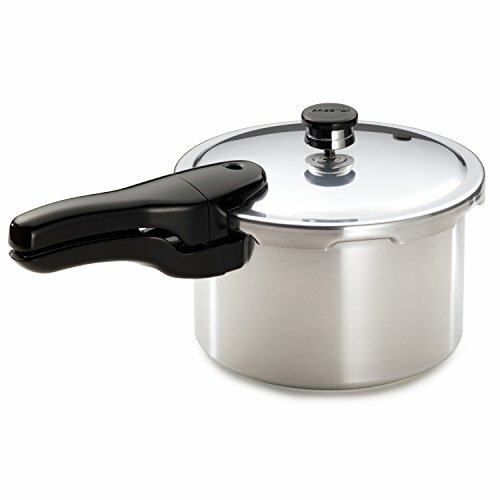 Therefore, if you are looking for the top rated pressure canner, it is important that you understand what to look for. 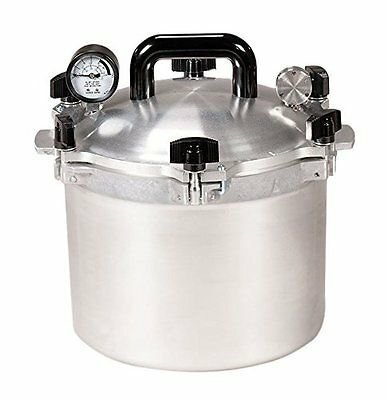 Below, you will be able to read pressure canner reviews, and hopefully,you’ll be able to narrow your list down to the very best pressure canner that fits both your style and need. 2.1 What is a Pressure Canner? 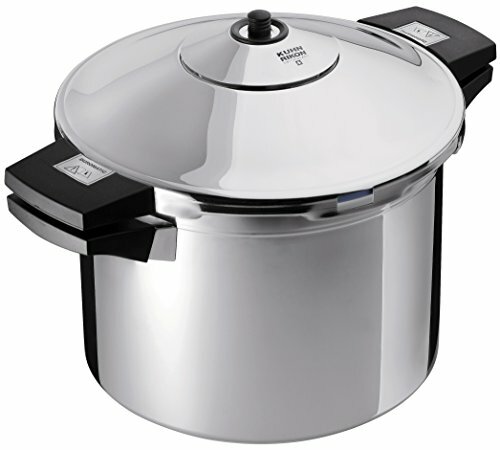 2.3 What are the Differences between a Pressure Canner and a Pressure Cooker? 2.4 What to look for? 2.5 Why Should you Invest in a Pressure Canner? 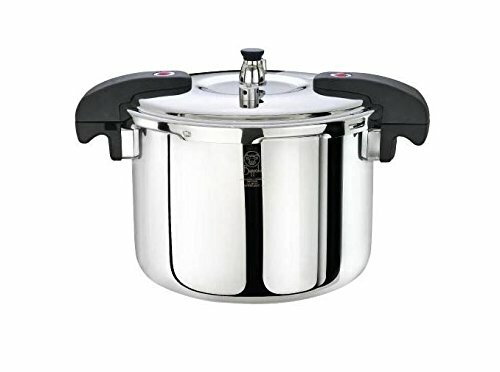 First item on our list is the pressure canner/cooker combo from the All American, and here we have an extremely popular canner that has been receiving top rated reviews all over the internet. This unit features quality and premium grade aluminum that delivers excellent performance and durability. It is so well built that All American concludes that this unit does not require a gasket to seal the lid. The reason is the latest All American pressure technology called Metal-to Metal sealing, that ensures steam-tight seal without having to rely on the gasket. There are six different quart sizes to choose from that include 10.5, 15.5, 21.5, 25, 30, and 41.5-quart sizes. Moreover, it was built to store 19-pint jars or 7-quart jars. This All American canner/cooker combo is extremely efficient and is constructed from a durable aluminum that delivers a stylish satin finish. You will be able to set the canner to automatically release the pressure at 5 psi, 10 psi or 15 psi. 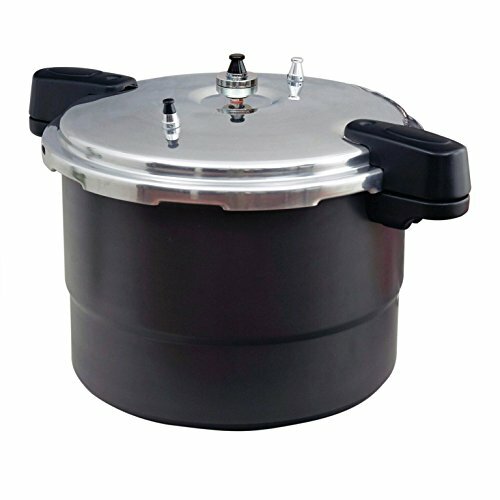 Overall, this is an ideal solution for those who are looking for a canner/cooker combo that is made of first class materials and was built to last. This unit is guaranteed to heat extremely quickly and provide top performance in your kitchen. Moreover, it is very easy to clean and will never rust.If you are looking for a canner that is built to serve you for many years to come, look no further. 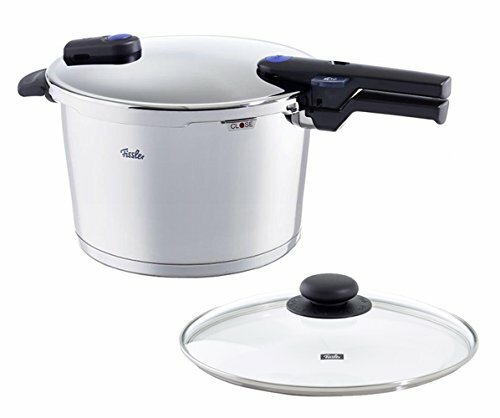 Here is another pressure canner/cooker combo, but this time it is from the Presto stable. 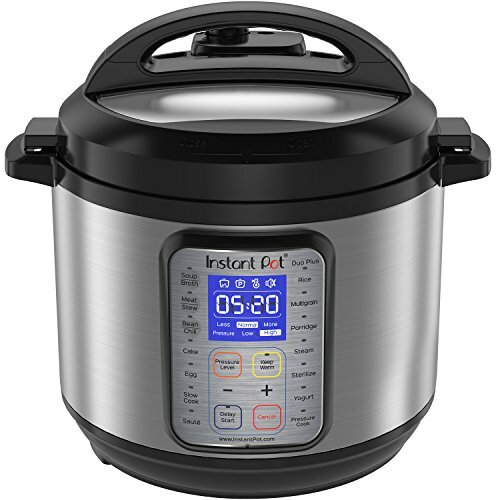 There are several options to choose from when comes to this pressure cooker. You will be able to invest in the pressure canner itself or opt for two other packages that include the canner and a canning kit or a canner along with a canning rack. Moreover, there are two sizes to choose from, a 23-quart size and a unit that holds 7 quarts. The Presto team has done an excellent job by providing a 23-quart canner at a price that is hard to beat. They have been in the business for a longtime, and they know what it takes to stay ahead of their competitors. 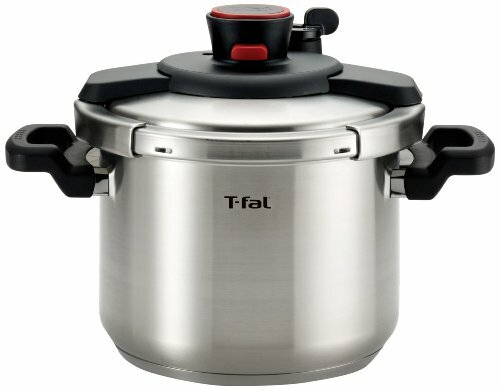 One of the best features of this unit is that it is both a pressure canner and a pressure cooker. It was built with Presto´s latest Stay-Cool plastic handles to ensure that you will never burn your fingers once you touch the handles. This unit is packed with many different security features and to ensure safety first, there is a pressure regulator and an easy to read dial gauge. Moreover, there is also a steam gauge that helps you to read the pressure in a more accurate way than with other units on the market. Overall, a solid 23 23-Quart canner/cooker made from quality aluminum is all that you need for your kitchen to start canning or pressure cooking. It will heat up and cool off very quickly and includes many built-in safety feature sto ensure safe performance. 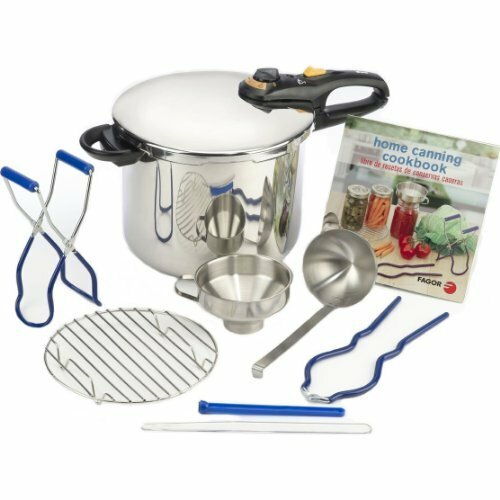 Now is your time to invest in a complete package that offers pressurized cooking and canning. This is a sturdy unit that offers fantastic cooking and canning solution at a very reasonable price. 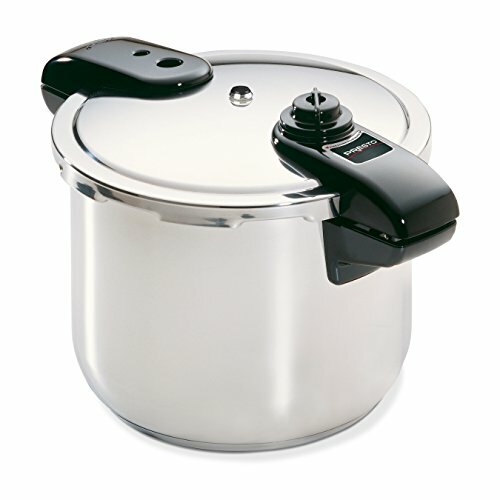 Our third item on the list is a 20-quart pressure canner that you will also be able to use as a pressure cooker as well. This Granite Ware product was constructed to deliver both safe and efficient heat distribution. It comes with a durable lid that easily seals the rubber gasket to ensure top performance every time. All it takes is a tiny twist once you align the lugs with the kettle. To ensure safety first, this unit features plastic Stay-Cool handles that allow you to touch the handles during any stage of the canning. Another safety function is the popup regulator that was also designed to lock the lid completely in its place. On top of that, there is another safety mechanism that involves putting a pin in the base clip of the handle to make sure that the lid locks when it’s pressurizing. Also, there are two safety valves that complement each other if one fails. One is a metal that provides a whistle alarm while the other is a black cap and will go off in case the other fails. There is also a vent pipe that functions as a pressure regulator that allows you control the pressure from 5, 19 and psi. This flexibility allows you to operate the unit almost hands-free without having to monitor it every second. Having said that, this is one of the most secure and efficient pressure canners on the market that is packed with tons of safety features to ensure that you can use the unit safely at all time. You will be able to choose between 12-quart unit and a 20-quart unit. The 20-quart unit can hold 7x one-quart jars, 8 one-pint jars or 24 half-pint jars. The smallest package, the 12-quart cannerwill be able to store 4-quart jars, 7-pint jars, or 8 1/5-pint jars. Both units are labeled UL certified for safety and include 3 piece pressure regulator system. Overall, here we have an excellent option for those who are looking for a versatile canning/cooking device without having to mess around with complicated buttons and regulators because this canner was designed to deliver consistent results for a very budget friendly price. Next up is another great canner from the Mirro stable and here we have a quality constructed kitchen device that is built out of quality aluminum. Just like all Mirro pressure canners, this one is extremely efficient to distribute heat and pressurize food in a way that you have not experienced before. 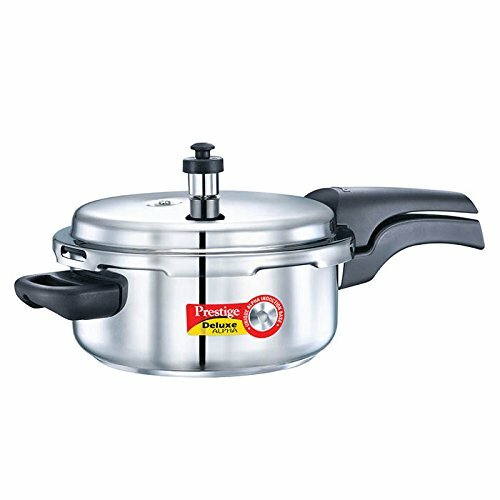 Moreover, this one includes 4 safety functions to ensure hassle free performance, regardless of your skill level in the kitchen. It is extremely easy to lock and secure the lid by dropping it into its place as soon as you align the lugs with the kettle. Once aligned, all you have to do is softly twist the lid, and it will securely click in its place and is guaranteed not to open when under pressure. If you do not close the lid properly, there is a safety pin that will kick in and push on the gasket to prevent pressurizing. On top of that, there is also a rubber gasket that ensures a complete sealing. In other words, if the lid is not in its place, you won’t be able to start the pressure process, and there is no risk of damaging the unit or injuring yourself. There are two versions available that include a 16-quart size and a 22-quart size, both built from premium aluminum and can hold 16-pint jars or 5-quart jars. Moreover, both units are equipped with 3 pressuring options where you can choose from 5, 10 or 15 psi. Also, there is a cooking rack included and a recipe manual as well. To protect your purchase, Mirro stands by their products 100% and they will offer you a limited 10 years warranty to ensure that you can maximize your kitchen experience. Next up is a compact but efficient and great looking pressure canner that includes tons of awesome features. 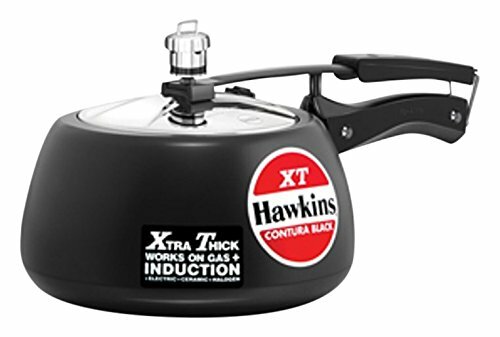 This is a 10-quart canning/pressure and has been receiving two thumbs up for being the best small sized canner on the market today. Therefore, this would be your ideal solution if you don’t have much space in your kitchen. The Fagor Duo is an 18/10 stainless steel aluminum unit that comes with many built-in safety mechanisms that makes this a prominent solution to fit any canning/cooking needs, regardless of your cooking skills. The Fagor Duo was built to evenly distribute heat to ensure top rated results every time you use the canner/cooker. Moreover, this unit is excellent for most stovetop types, such as, glass, electric and gas. Just like the pot itself, the lid is constructed from premier stainless steel aluminum, and it will securely lock itself with a gentle twist. To build up pressure, there is a silicone gasket that seals the pot to maximize your cooking/canning experience. The Fagor is extremely safe and features many safety mechanisms. There are 4 settings that you can choose from that include 8psi, 15 psi, unlock and steam-release mode. Have in mind that if you do not securely lock the lid, the unit will not build up any pressure and once locked, the pot will never open while the pressure process is undergoing. You can easily read the pressure indicator on the lid handle and you will see colored lights rising as the pressure are building up inside the pot. In case the pressure builds up too quickly, there is a safety valve positioned under the lid. Also, there is another safety valve next to the lid cut-out that releases steam with excess pressure buildup. Overall, here we have a multi-tasking kitchen appliance that was built to ensure first class performance. It has been praised all over the internet as the best small sized pressure canner and current owners are actually impressed by the efficiency of such as compact unit. Basically, it is a cooking unit that’s used to preserve food in cans or jars. It is a simple technique that requires sealing the food in a jar. The jar is then put inside the pressure canner. The majority of pressure canners on the market today are big and pressurized containers. These pressurized pots are developed to generate temperature above boiling point or around 250 degrees Fahrenheit. Now that we know what it is all about, let’s look how a canner works. First of all, a pressure canner will remove oxygen. That means that the canner is built to remove all the oxygen inside the pot to eliminate the risk of the food getting spoiled. Second, the pressure produces a heat sterilization that kills all the bacteria in the food. The last process is to seal the jar and now the jar is completely oxygen and bacteria free. Sealing the jar ensures that nothing will be able to reach the food inside the pot and the pot is now completely serialized. Most, if not all, pressure canners are extremely lightweight pots. Moreover, they come with a removable rack, automatic ventilation pipe, and security locks. Also, most of them feature a dial gauge that indicates the pressure and allows you to regulate the pressure inside the pot. As I did mention, pressure canners come in all sizes and shapes. However, the standard unit should be able to hold a one single coating of quart jars, or 2 layers of pint-sized jars. The canner is supposed to be able to take at least four-quart jars to be approved as a pressure canner, according to the USDA. Pressure canners should also be tested thoroughly, and to ensure that your unit is approved for safety, you should look for the UL stamp. To begin with, you need to add 4 to 8 quart of water to the pot. Then, you need to place it on the stove using the highest setting. Make sure that you add sufficient water because you need sufficient water to boil and enough for covering the jars. Next, you heat up the food and place them into the jars. Wipe the rimes of the jars clean and attach the lid. Then you put the jars inside the canner. Remember to secure the lid properly and set the canner to pressure mode. In pressure-mode, the canner will reach a boiling point, and the pressure will begin to accumulate up to certain temperature. Wait for the canner to inform you once the temperature is reached, this is usually through a gauge. Then you need to allow the food to be processed for a specific time. Once the process is finished, you should turn off the heat and allow for sufficient cooling period before attempting removing the lid and jars. Ideally, you should allow minimum 24 hours before storage. 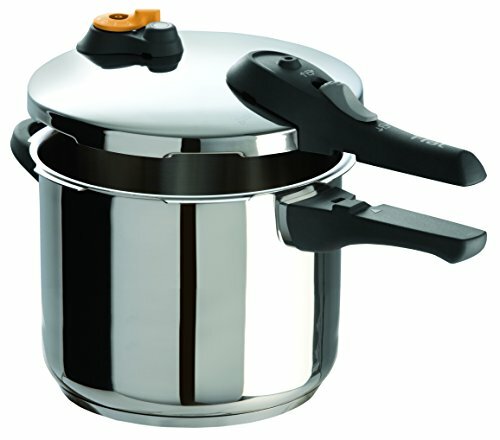 What are the Differences between a Pressure Canner and a Pressure Cooker? Back in time, preserving food was not so easy because people needed to invest a lot of time and energy for the process. However, if people didn’t look for ways to preserve food, winter would be extremely hard. Although the purpose of these methods was to make the food last longer, they were not practical or ideal. Therefore, people were constantly trying out new ideas and searching for a more quicker and convenient way to store food. Today, pressure canners are built to preserve food inside jars. By law, they have to hold a least 4 quart sized jars successfully. I did mention above, that all canner units include a vent cover lock, a vent port, removable rack and a safety valve. On the other hand, a pressure cooker is smaller, and they can cool down and heat up much faster than canners. Moreover, they were not developed to process food into jars. In other words, pressure cookers are built to cook, not to can. Today, there is an excellent solution to make our food last for a long time, and that is canning. In short, canning helps us to preserve cooked food by properly store the food in a sealed jar or a can. Thankfully, we are not using the same methods that our ancestors used to preserve food. Now the process is much easier and takes no time at all. Also, there are many electric pressure canners on the market today so there should be canners out there to fit any cooking style and need. It can be really daunting task to go through all the pressure canning reviews online. However, it is important that you invest sufficient time in your research, so you can be certain that you are investing in a quality and durable pressure canner. It is also important to set your budget so you can narrow your search even further down because pressure canners also come in different price ranges. You can invest in a unit for as low as 50 dollars, and they can also go well over 600 dollars. We are all different with different cooking style, and there is no pressure canner on the market today that is labeled One-Size-Fits-All. You need to figure out what kind of unit fits your kitchen and your needs. Below are few pointers that you should take into account when you are searching for the best pressure canner. This is very important factor to consider and will depend and you need to take into account how many people are in your household. The rule of thumb is basically to invest in a unit that can store both quart and pint jars. That way, you will have more flexibility, and you won’t have to restrict yourself with just one size. All the canners on the market today will be labeled by quarts. In other words, if your desired unit is labeled 21.5 quarts, it basically means that it can store 7-quart jars, or 19-pint jars. Therefore, it is extremely important that you check out the actual number of jars that your canneris capable of storing, to have an idea about its size. Another very important factor to consider because, in case you’ve glass stove-top, you need to make sure that your unit is able to operate on glass stove-top safely. It goes without saying that a very heavy unit should never be used on a glass stove top. Also, if you’ve got an electric stove, it’ll work effectively for canning but it is important that you set the ideal heat. Having said that, make sure that you fully investigate for what kind of stove-top the pressure canner is built for. Price is probably one of the most important factor to consider, and the price is usually a good indicator of the quality of the pressure canner. 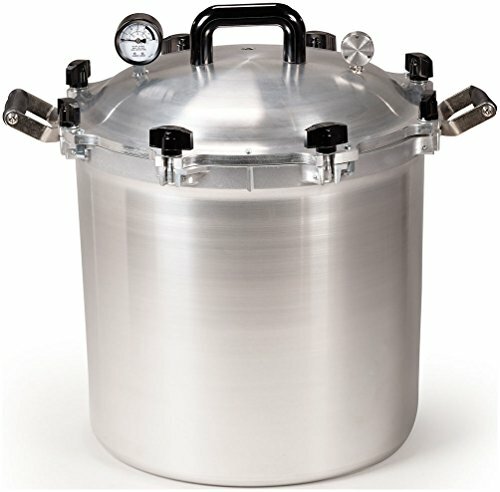 It goes without saying that a 50 dollar pressure canner will not include the same bells and whistles as a 500 dollar unit. There are many ways to get a quality pressure canner, even if you are on a tight budget, by taking advantage of the special sales throughout the year. There are many pressure canners for sale to fit anyone’s budget. There are many brands out there that claim that their product is the best. However, you should know the big sharks on the market. You can get a quality canner for a low price that will serve you just fine, and you can also invest more and buy a pressure canner that was built to last a lifetime. Like with any gadget you buy, the way you treat it will determine its durability. That said, if you want your pressure canner to last, you should always clean it properly after use. Moreover, if you have a unit with a digital gauge and you want to maximize its durability, it is recommended hat you have your pressure canner checked at least once every two years. That way, you will always know for sure that you are reading accurate PSI. However, this is not what you have to do with a weighted gauge. The reason is that these types include a simple gauge that jiggles once the temperature is reached. The bottom line is that it all depends on what you are looking for and how much you are willing to spend in a unit to fulfill your cooking needs. Why Should you Invest in a Pressure Canner? 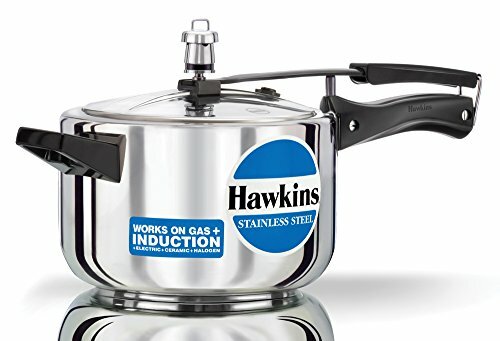 Most probably, it has crossed your mind before to invest in a pressure cooker or pressure canner before, but you have always backed out of it because you simply didn’t understand the advantages of owning one. Once you know all the great benefits of a pressure canner, you will be extremely thankful and happy. The world is going nuts about the volume of BPA in canned foods today. Therefore, people are more and more motivated to make their own BPA-free food. Pressure canners are your answer to a healthy, BPA-free lifestyle. Moreover, when you use a canner, there will be hardly any impact on the environment because you will eliminate the amount of waste. There is a lot of pollution involved in the pre-packing canned production process, and the merchandise needs to travel a long distance in a truck to reach you. Now you have the opportunity to can your own food and reduce the volume of pollution significantly. If you invest in a pressure canner, it will pay for itself in a short period. Moreover, there are more ways to save money using a pressure canner. For example, you can buy food products during it’s season. Therefore, you can buy large quantities of food when they are cheap and store the rest for a long time. That way, you have an ideal solution to stock your pantry, and you will avoid having to waste the food. Instead, go green and use a canner to preserve the food from the comfort of your home! Now you have made a decision to invest in a pressure canner but you are not sure what the best one on the market is. It is important that you read over the pressure canner comparison charts and see if the unit can fit your needs. It doesn’t matter what kind of pressure canner you invest in, you need to make sure that it does what it is supposed to do in order to maximize its performance. You need to investigate the quality of the pressure canner along with its reliability and performance. Once you have narrowed down your list to the perfect unit, you will be well on your way to preserve fresh food without additives. This is a fantastic way to stay healthy, save money and time at the same time. Even though you invest in the top rated pressure canner, you should read thoroughly over the instruction manual to ensure that safety is always your priority.